The authors use of the narrative story teaches several elements of Germanic paganism. There are tales of the Gods taught, beliefs about plant lore explored, beliefs of the soul, and much more. 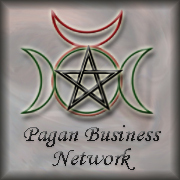 The book provides through the story a basic concept and outline of many main beliefs found in Germanic Paganism as well as in Traditional Witchcraft, Anglo-Saxon shamanism, and much more. This book was well researched and written allowing a student to learn concepts in a way that non-fiction books may not be able to portray them. Posted on March 11, 2014, in Asatru, Book Reviews, Christianity, Germanic Pantheon, Mythology, Reviews, Soul, Wyrd and tagged Anglo-Saxon Witchcraft, book review, cosmology, folklore, Germanic Paganism, Shamanism, traditional witchcraft, Trance, Wyrd. Bookmark the permalink. Leave a comment.